POS machines are the relatively new entries in the Indian business scene that have modified the way businesses used to work and get managed. The machines have changed the way ledgers are maintained, the billings and credit process is accounted, the inventory and clients are managed and employees are managed. The POS word stands for the Point of Sale, and the POS Machines allow the customers to pay for goods and services and are used for the processing of sales transactions. There are a lot of POS machines available in the market of which POS Machines of ZKTeco India are the best ones. They are reliable, accurate, come with advanced features and can be customized to suit your business requirements as well. The following post will be an exploration of the machines, reasons you should incorporate them in your business irrespective of its scale and how they differ from the traditional billing system of a cash register. Further, you will be able to find how and where you can find POS Machines in Bangalore. Operations of a business are streamlined and this means a lot of time is saved at both the customers' and sellers' ends. You can manage the inventory effectively and easily as you will be able to see instantly how many items from which section are remaining which will help you to make an informed decision regarding the buying. The ZKTeco POS Machines in India offer a detailed report of the sales, data analytics, business transactions, inventory and a lot more things. There is no need to record a physical cash register and you can store the records easily in a computer where they are always accessible easily for any kind of processing. The POS machines improve the customer experience as they don't have to carry cash; don't have to wait in a long queue waiting for their calculation to be completed; don't have to worry overpayment as the recording is done for once and all etc. The ZKTeco POS Machines have been programmed in such a manner that the human intervention is minimized. This means that the odds of wrong calculations, human error and other such issues are almost zero. The POS machines reduce the cost involved in running a business as it obsoletes the need for physical cash register maintenance. Further, these machines increase the productivity. 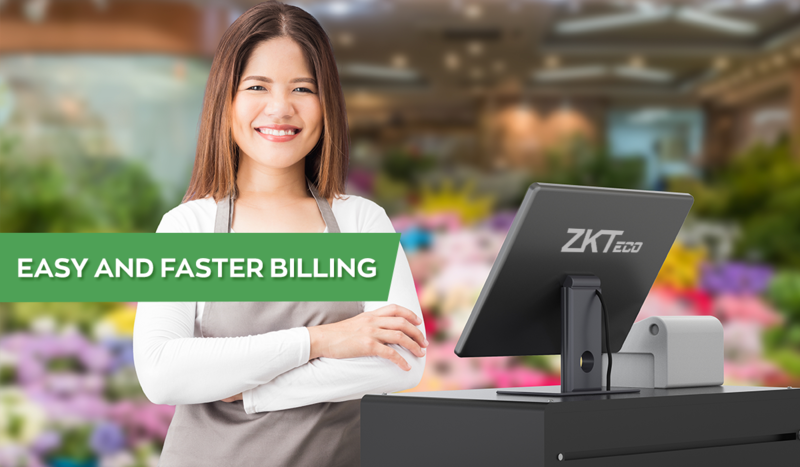 The ZKTeco POS Machines will maximize your return on investment by offering a better mode for business and business operation management. They help you to make informed business decisions. The demonetization in India started a wave of digitization of several sectors including the private businesses big and small alike. Sellers want the customers to keep buying with ease. They want an organized way of billing that is less cumbersome and confusing than the previous traditional systems. They don't want their inventory to be loaded with things that are bought less and go scanty for the ones that are high in demand. 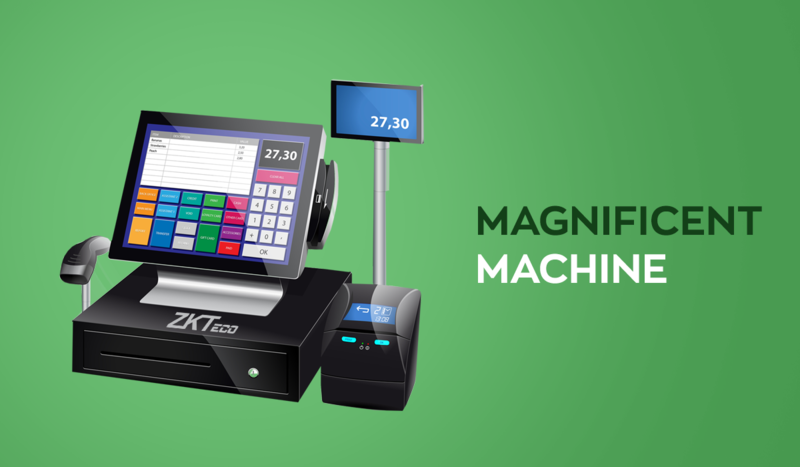 The POS Machines from ZKTeco India allow you to manage all of them perfectly. Even if you are a grocer, you can manage your business in a better manner as people won't be bargaining for the rates and you don't have to worry about rounding off the bills. If the bill is 234INR then, you can swipe the card and get EXACT 234 and not 230. In case you manage a daily needs superstore or a hardware store where you keep a lot of items, you can place barcodes on them and use the barcode reader to do the billings, generating invoices and managing the inventories. No more list-making on small papers while counting the items that have been sold and that are still in stock. The ZKTeco POS Machines can be customized as per your business and you can choose the operating system and configuration that suits your purposes. Also, you can get them customized in terms of your business needs. Lanoviz is the authorized distributor of ZKTeco products in India including POS machines, GPS systems, CC TV and Access control systems. If you need a POS Machine in Bangalore that is reliable and accurate, you can visit their website. Bangalore is a major tourist destination for international visitors; a highly popular honeymoon destination; a hub for destination weddings and family vacations in all the seasons. Apart from that, there are a number of businesses based on export and import of fabrics, nuts, spices, coffee and other commodities. Managing your business in a better and digital manner will attract customers and make your business more organized and suited to the modern technology. Lanoviz offers the Best and the most reliable POS machines in Bangalore that has been helping businessmen of all kinds to achieve more profits. The POS systems offer trend spotting, recording detailed data of huge size, sale tackling and managing, management of inventory and staff management in an efficient manner. The traditional billing systems don't offer such advantages unless you have an expert accountant dealing with all this. Pos Machines from ZKTeco India can be customized as per your needs and business requirements. However, the physical ledgers cannot be customized unless you get them printed and keeping a record of them and then finding the same is a daunting task. The business management becomes easier as you can make direct commands to the computer and collect results very fast. Having a POS machine is not the end; you should have nothing but the best in order to have profits nothing but the best kind. ZKTeco POS Machine is there to take your business to new heights. All you have to do is purchase one.